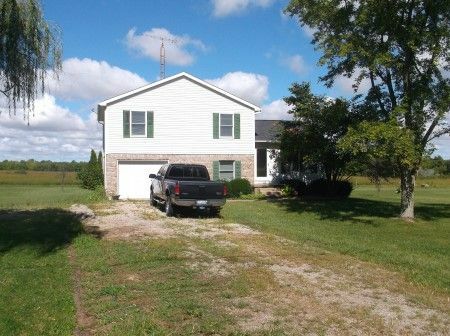 This nice, clean vinyl & brick sided 3 bedroom 2 1/2 bath home with attached garage was constructed in 1994 & is situated on a mostly level 0.87 acre lot. The home offers a living room, eat-in kitchen, family room, attached garage, a utility bldg and dog kennel with run & concrete slab. The home will be sold with appliances. 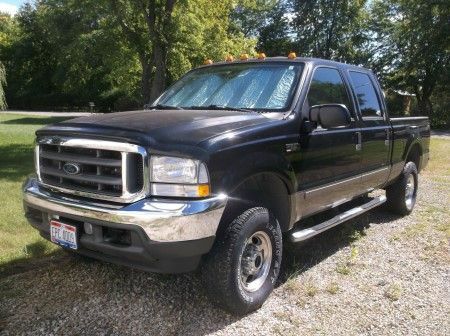 2003 FORD F250 Lariat Series pickup, black & gold ext. crew cab w/tan leather int., short bed, cruise, AM*FM radio/CD, cruise, power windows, locks, seats, 4WD, 5.4 V8 gas motor. King size Oak Bedroom Suite that includes one nightstand, dresser w/mirror & display shelves and a chest of drawers. Real Estate Terms: $55,000 Minimum Bid; $5,000 down at time of sale in cash or check w/photo ID; balance & possession at closing upon delivery of deed on/before Dec. 6, 2016; Ross Co. Auditor Annual Tax: $1,341.20 & will be prorated to closing date; no buyer contingencies exist; sold in as-is condition. Personal Property Terms: Cash or check w/photo ID paid in full at time of sale; removal day of sale; sold as-is. Taxes & Legal: Auditor Annual Tax: $1,341.20; Parcel No. 370912166000; William R. Dyer, Jr. Estate, Ross Co. Probate Court Case No. 2015-E-286, Mary E. Dyer, Executrix, Clifford N. Bugg, Atty.